MMB-CHMINACA (MDMB-CHMINACA) is an indole based cannabinoid that shares some structural similarities with AB-CHMINACA but it has a dimethylbutanoate group. This compound appears to have significantly greater in-vitro binding affinities than many of the current cannabinoids and researchers should take this into account when carefully planning their experiments and the amount of material to deploy onto cellular substrates. The group of synthetic cannabinoids is very diverse and new products are frequently added to the list and presented to the worldwide community. However, the arrival of MMB-CHMINACA to the scene caused unusual amount of attention due to unique features this chemical possesses. 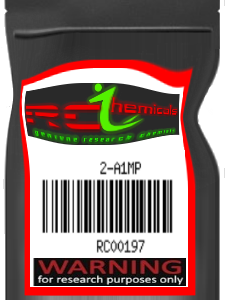 While this indole-based cannabinoid is not too distant from AB-CHMINACA (with the exception of a dimethylbutanoate group), its suspected impact on the CB1 and CB2 receptors is far stronger per unit, necessitating smaller quantity of active substance to meet the objective of the experiment. 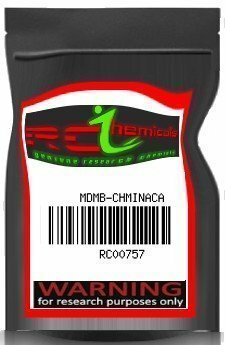 MMB-CHMINACA has the appearance of a white powder, suitable for safe storage and handling inside of a laboratory. 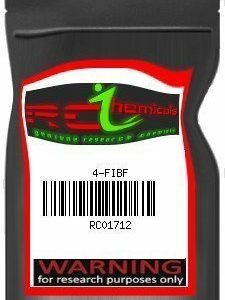 Formally defined by the very complex chemical formula (2S)-methyl-2-(1-(cyclohexylmethyl)-1 H-indol-3-ylcarbonylamino)-3,3-dimethylbutanoate, this synthetic cannabinoid is brand new on the market and enjoys great demand from international researchers at the moment. Its molecular formula is C23H32N2O3 and its molecular mass stands at 384.5 g/mol. . Novel chemicals such as MMB-CHMINACA should be treated with extreme caution and measured very precisely, taking into account high purity that is standard for all of our deliveries. Any legal consequences of the order are sole responsibility of the customers, so we advise everyone to check the state of local regulations before ordering synthetic cannabinoids and other chemicals from our online store.